February | 2018 | Peroglyfer – Machine Learning changes math. Math changes everything. The idea is to make a buss into a temporary homeless shelter. It could go to selected places and pick up people to protect them from the cold. An interesting tweet by Elon Musk ”China’s progress in advanced infrastructure is more than 100 times faster than the US”. This gave me an idea. Perhaps desalination plants could be constructed in a similar way within very short time limit. A week maybe. The cost need to go down also. Even though some places don’t need desalination. I think it saves time to be prepared. They don’t need to be turned on until necessary to limit environmental effects. I wonder why I didn’t think of this before. I would argue that investing money in mothers could very well be the best, ?cheapest and most value for money way to improve the life for young people. I think its more effective than getting more police officers as an example. So what would an organization of mothers use the money for? What ideas would they have? Could money to the mothers sponsor children athletics and sports activity? I mean. Physical activity is good for the body so it will be good for the children’s mood and motivation. I was wondering. What is the purpose of the iron core in a magnetic coil of wire? Then I remembered. What ever it is. It should make sense to a network. From a little process knowledge in machine learning I speculate that at least in this field you could have two iteration speeds. Maybe the iron core in a magnetic coil wire solves some similar problem. The whole system could perhaps take advantage of two iteration rates? With this thought I guess you can think of objects in inventions as physical machine learning elements. If you use machine learning in the broader sense. You include a larger area around the car or truck. Then the battery would be aware of the road ahead. Like a stomach feeling. It knows all the bumps along the road or at least the probability of the road properties. Every road is then iterated in a algorithm to find the best updated settings at the needed time. I’m rather poor. I don’t have a car. Without the commuter train I could not get around. The railway is important for generating money for whole lot of people. Building a commuter railway to a new Palestinian ?city could be an important piece in the puzzle to bring peace and responsibility to the region. Made a simple particle animation in Blender. Maybe its possible to get some insights using the quick animation capability of Blenders crude particle system. Since we want to limit criminality. The simplest way I can think is to limit the inflow. One way to get good results on a massive scale I guess would be to take inspiration from courses for higher education. If you have free accredited online courses for high school. Young adults who missed out on school can see a way forward. This is a characteristic of the challenge. The young people live day to day and have no extra money for education. Just about everything we can recognize have layers on the surfaces. For instance. Looking at the sun. Different layers. From this I guess that plasma layers could enable much smaller fusion devices. So I guess that there exist an abstract reason for layers and why we should use them. Some clues might come from machine learning and its outer and inner layers. One idea I had before was to use machine learning for batteries. Maybe there exist two outer and one hidden layer for the respective electrode? Maybe the rearrangement of the ions are complex and it could best be solved or iterated by a deep layer electrode. If evolution had to adapt a living organism to high pressures my guess is that it would be easier if it could separate a higher fitness from small errors. Then I guess small errors could perhaps mean something like dots. So I wonder if there is a possibility to evolve the pressure tubes? Does there exist something like pressure dots for reverse osmosis? This is my job idea for today. There are a lot of older people in need of support for the new computer, the smartphone. So I thought. Why not hire and share a person who can go to different cafés. There he and she could help those in need. So the idea is for an extra service to the customers in the form of a computer support person. I don’t know if sharing the cost of an employee from two different companies is possible. If not this could perhaps be another idea. Since we probably need mobile desalination machines. For personal use. I thought. Why not create local desalination courses. Here people can learn how to operate them. Also other water safety knowledge is probably equally important if not more. In the computer world there are many Linux distributions. Different look, feel and practical usage. Therefor I wonder if its possible to emulate single board computers. As they ?all run some kind of Linux distro. Where ever we use our senses. Eyes, smell or ?taste. An algorithm could perform ?better. So with the help of machine learned networks and python libraries or modules. I wonder if the you can feed the network start images of the target area and generate a time sequence of images. These then become the ”what to do” images. The end image is then the finished greened environment. So the idea is to build up and train weights for a Green Machine Learning Network. Like there exist other large networks. 1. Perhaps the children should be kept out of school until the gun law is resolved. I wonder. Why has not anyone thought of this before. Could this work. A fingerprint sensor on the regular combination lock? I mean. There are so many guns. Maybe smart locks need to be as common as regular combination or key locks. Then it should not be any problem using a trigger lock? I believe water ?likes temperatures to be even. Therefor I had the idea that maybe desalination could be aided by a temperature difference. I don’t know but maybe its possible to ?heat the saltwater side and chill the freshwater side of the filter. The idea is to see if desalination. The removal of salt from the water could be aided by this temperature difference. Inspired by birds. I imagine particles in air controlled by magnetic fields could lift a flying machine. What is a good Internet experience for the blind? Since I cant do much on my own to change that. I thought. Why not a blind programming community. Blind people could with the help of assistants via Internet ?voice or text chat create code with knowledge of what works and not. To improve the experience that is. The code is written mostly by the assistant I guess. It could serve as a model for voice programming with a chatbot. So it would benefit everyone. Other than that. Programming is a fun experience. Especially if you can take part of the creative process. I was looking at some pictures of an Israeli farmer walking in the field. I believe we need to help each other. No matter what. I wonder. Is it possible to grow food in tunnels. I guess its just a technical problem to get enough sunlight to light into the tunnel. Then perhaps some ventilation and a simple air condition device could give just the right air temperature. Maybe we could have a railway in the tunnel model Indiana Jones with crops growing in carts. A quick machine learning guess. Like there exist image restoration or denoising. There should exist physical movement denoising. I imagine it would work with 3D models. The pixels are the 3D vertices of the objects. So when you apply a denoising function to the 3D animation it would ?correct the movement a little. I hope it could work for physical simulations. Another simpler idea is to implement a denoising function in Blender for 3D objects vertices. Not just a smoothing function that would remove too much detail. Since it represents a philosophical possibility. I wonder what use we could have from water spray. One thing I hope is that it could preserve water for shortage dish washing. I had just the best idea. 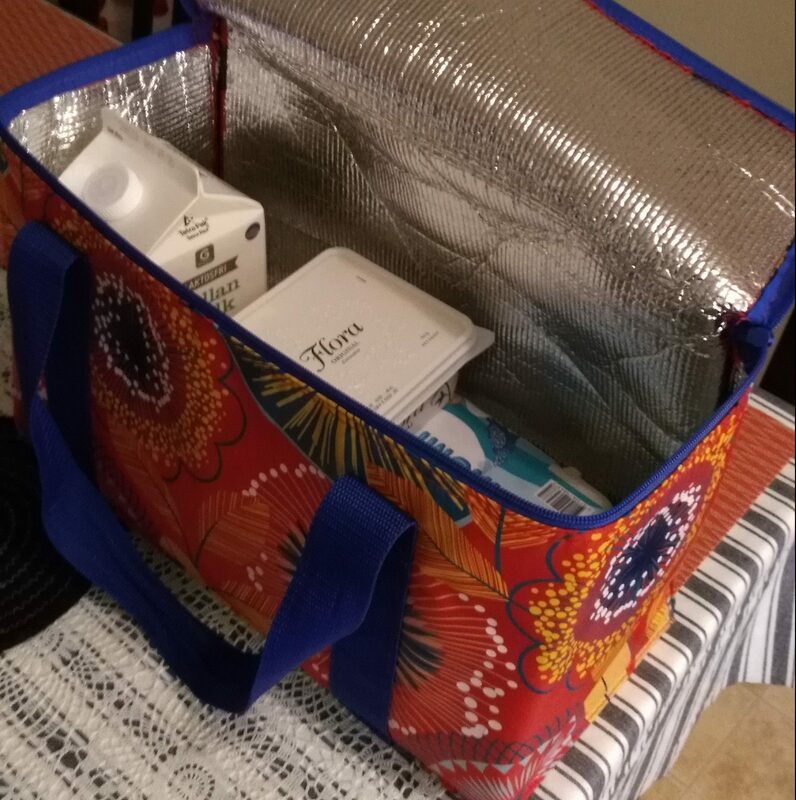 What if we take the camping cooling bag. The one with reflective foil inside. As a shopping bag. Just place the delicate meat, milk, butter, eggs, fish together with a frozen soda bottle. I think this works for countries in Asia, Africa or where the climate is hot. For Sweden I’m going to try this for hot half a chicken meals now in winter. Here I don’t need anything hot in the bag. Just the hot chicken. A product Idea would be to create these kind of bags for take home pizza. Just let the customer buy the reusable pizza bag and place the the pizza in the regular paper container inside the Thermos Pizza Bag. Why not create a multi player creation game. One that is essentially a 3D music world with different daws and characters. You play by creating music and getting scored initially from tutorials and then to automatic algorithms and peer review. This way many popular songs get started and knowledge is transfered to the younger generation. So my idea is to create Music World. A peer review music game on Linux. We extend the life of our selves with medicine. Why could we not do the same for batteries? This could be a business for the industry. Battery medicine. Different combinations based on automatic assessment of the individual EV battery cell.